The Illinois Department of Transportation is seeking resident bicyclists' input for the Illinois Bike Transportation Plan. The Illinois Bike Transportation Plan is one part of the state's Long Range State Transportation Plan. According to IDOT, the purpose of the Plan is "to set forth policies and goals that guide the development of the state transportation system. The Plan identifies issues and key needs that will guide IDOT in their investment decisions for the state transportation system over the forthcoming twenty years." 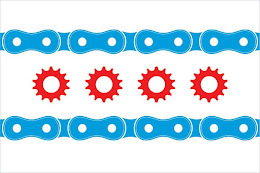 The Illinois Bike Transportation Plan is specifically intended to make recommendations to IDOT regarding a number of issues directly affecting Illinois bicyclists, such as bikeway safety, design, and maintenance, bicycling policies, and the development of regional-scale bikeway networks. IDOT is requesting that interested residents take a short online survey to assist IDOT in the early stages of developing the Plan. The survey may be found online at the following web address: https://www.surveymonkey.com/s/IllinoisBicycleTransportationPlan. As development of the Plan progresses, IDOT anticipates that there will be a number of additional opportunities for public input, both in person and online. The Illinois Bicycle Lawyers at Keating Law Offices strongly encourage Illinois bicyclists to play an active role in all stages of the development of the Illinois Bike Transportation Plan. While cycling is an enjoyable method of recreation and exercise, it is also a vital method of transportation in the densely populated Chicago metropolitan area. Keating Law Offices applauds IDOT in recognizing that Illinois' active bicyclists are in the best position to make reasoned and informed recommendations regarding important issues affecting bicycle transportation, including bicycle safety. We hope that with active and ongoing input from Illinois bicyclists, the Illinois Bike Transportation Plan will result in a number of improvements to Illinois' bicycle pathways and safety policies. For more information on IDOT's Long Range State Transportation Plan, visit http://www.illinoistransportationplan.org. If you have any questions regarding this post or an issue involving Illinois personal injury laws, please contact Illinois Bicycle Attorney Mike Keating at 312-208-7702 or MKeating@KeatingLegal.com 24 hours a day, 7 days a week. All e-mails and phone calls are returned promptly. All initial consultations are confidential and free.